With Xorro’s latest Q-Launcher, history is displayed along the foot of the Launcher window. Prepared activities can be accessed from here and questions selectively launched to the audience at any time. 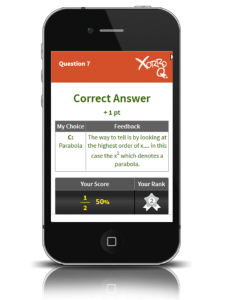 The presenter (“Facilitator”) can choose when to close the question, view results etc, based on participation levels which are continuously displayed in Xorro-Q’s real-time dashboard while the question progresses. 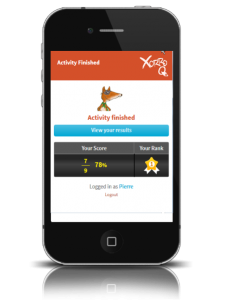 Xorro-Q’s Leaderboard can automatically tally scores and places for competitions, gaming or assessments. 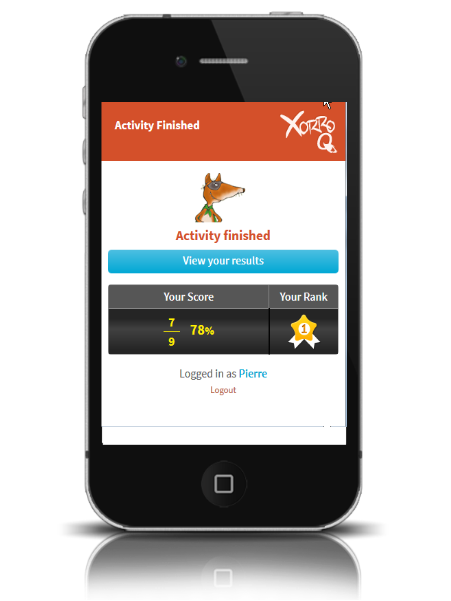 Five leader positions can be displayed, as well as “fastest correct respondent”. Participants can be provided with live feedback on how their answers compare to their peers’, scoring, and rank in the group. Feedback can be provided between questions, or at the end of an activity, or it can be deferred at the Facilitator’s option. To get a first-hand experience, please contact us to request a demonstration, or just to discuss options!